After running the 10K on Saturday, chow down on some BBQ at Grandpa Eddie’s (11129 Three Chopt Road) and listen to the tunes of Loversville. No Cover and the crew begins crooning at 8:30pm. If that is too far to drive, you can catch Loversville again, next Friday, April 2nd at Ellwood’s Coffee at the reasonable hour of 7:00pm. Spring has finally sprung and I am buying a one way ticket to Loversville, hope to see you there. Here are some photos of a place that might just be Loversville. The Goochland Drive-In Theatre opens this weekend. Richmond.com says this is “the first new drive-in theatre built in central Virginia in 40 years.” Leave the beer, cigarettes, and lawn chairs at home. In other drive-in news: from Mount Airy NC, after 55 years, the Bright Leaf drive-in has closed and is up for sale, the land and equipment are all up for grabs. A real opportunity for some enterprising individuals. Mount Airy is the fictional town Mayberry was based on. The James River Film Festival and French Film Festival merge for one day, today at the Byrd Theatre and the 18th Annual French Film Festival will continue through Sunday. How did Richmond get so lucky? Images of Richmond Theatre is currently hanging at the Valentine Museum. The show runs through March 31st so you had better hurry! 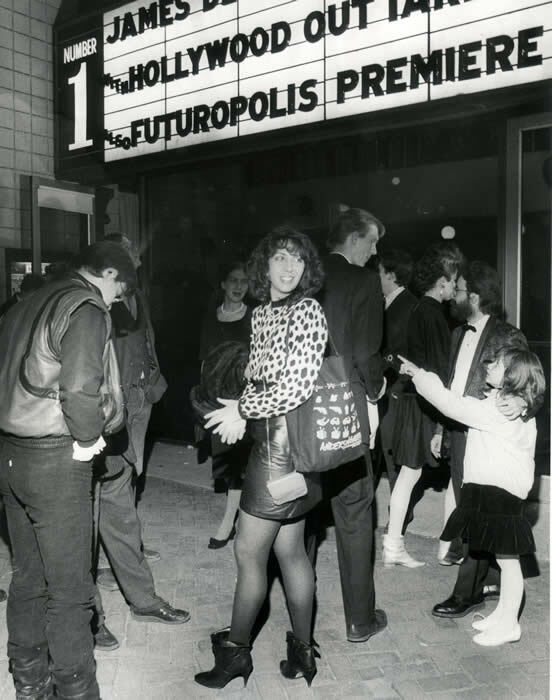 April 1984 - The Premiere of Steve Segal & Phil Trumbo's "Futuropolis" In the photo are: Jude Tolley, Frank Gresham, Tom & April Campagnoli, and Marty Brooks. This photography exhibition explores Richmond’s 20th century theater community, examining playhouses and movie theaters, professional and amateur actors, and memorable events and personalities. Visitors will see images documenting the city’s rich theater history, from the Academy of Music and Biograph Theater to the Little Theatre League and Eddie Weaver. Additional playbills, tickets, posters and other theater memorabilia are located in cases outside of the Stern Gallery. The 17th Annual James River Film Festival starts Friday March 19th and runs through Thursday March 25th, butting right up against the French Film Festival. This year’s offerings once again look like a great selection of films by independent minded people bringing their own unique views to the screen. Documentaries about Patti Smith and Charles Bukowski as well as a film by flimmaker Celia Maysles, daughter of David Maysles highlight the festival. The annual Richmond spring film season is just about here. Take advantage of these two great festivals. Cassandra Cossitt with her new fender guitar belts it out on Robinson Street. Loversville, a new configuration of the alt-country band Buttercup, is here to make you cry, help you throw down a couple of drinks, or just get you through the day. I must have been sleeping, there has been a shift in the universe. I stopped by Plan 9 Records store on Saturday to buy the new Johnny Cash cd, “Johnny Cash – Amercian VI: Ain’t No Grave.” I hadn’t been in for while. I still buy cds. I don’t download music…I don’t have a device and I hate headphones. Plan 9 has always had thousands and thousands of used cds that I could browse through. I could pick up a John Coltrane for $8.00, Johnny Cash for $5.00, Nina Simone for $6.00; and there was a large local selection in addition to postcards which I send to friends for birthdays and special events. There is still a large selection of local cds, probably the largest in the state, but the used cds are few and even the new ones are lacking. What is filling most of the store is vinyl, lots and lots of vinyl. They always carried vinyl, but now it is taking over the first floor, Plan 9 is turning back into a record store! In the basement they are even selling used and almost new receivers! and record players. Remembering an email from Plan 9 about their online store, I did find the thousands and thousands of used cds! They are all available online. I bought that used Nina Simone cd I was looking for and have probably purchased my last cd from amazon. 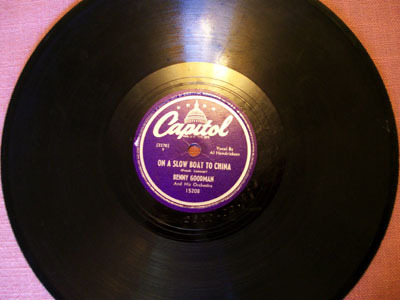 The changeover from vinyl to cds the first time was swift and unexpected. The change from cd to online has taken a bit longer, but from the looks of it, I just might have to get a record player again.